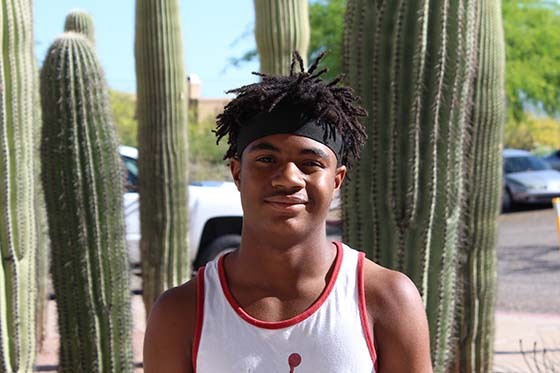 Octavius Thomas loves sports, but is also devoted to his studies. His favorite class now is social studies. At Tucson High he has been studying journalism, modeling and fabric design. Octavius plays many sports, including football, track and basketball. He plays all three at Tucson High and hopefully at the University of Arizona once he graduates. Octavius also likes to cook, and plans on studying that as well in the near future.